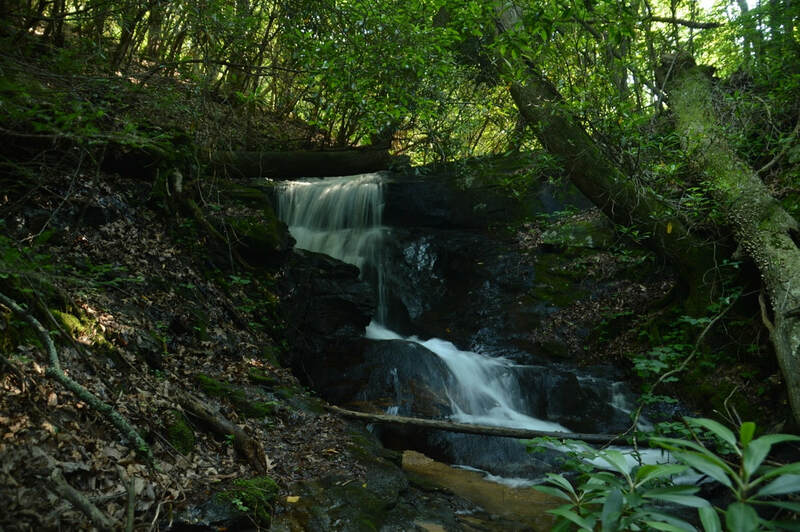 Waterfall Info: From the top, this is the first waterfall on Fall Creek (a tributary of Wildcat Creek), although it's the fourth waterfall you will get to if you follow the Wildcat Creek Trail from Wildcat Campground. The coordinates are for the most distinct part of the waterfall, the sheer 15-foot upper tier, which is also the most accessible. The waterfall continues dropping dozens of feet in a long run of cascades and slides that are hard to see from the trail and not really worth the effort. Access Info: Follow the Wildcat Creek Trail and Fall Creek Trail from Wildcat Campground. The upper tier of the falls - its most scenic and accessible part - is to the left of the trail. A short scramble path leads to the base.